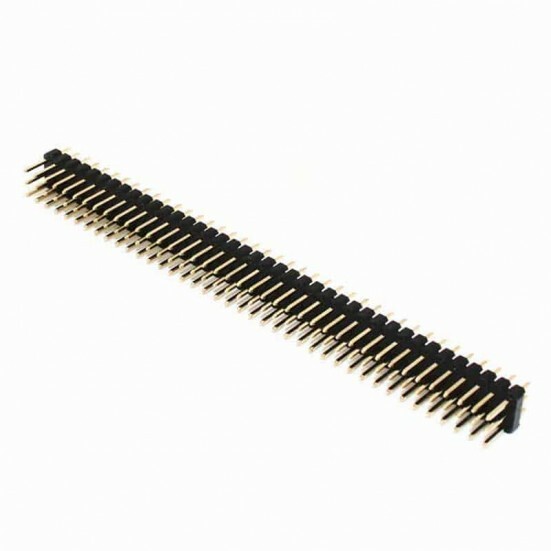 Breakaway 3x40 pin header strip with 2.54mm (0.1") spacing between pins. Connector style and spacing used with radio control servos. The pins are spaced at 0.1" and there are 3 rows of 40 pins.